Home / Deal / Kre-O / Lego / Toys / Transformers / DEAL! Save 50% Off Kre-O Transformers Today At Entertainment Earth! DEAL! Save 50% Off Kre-O Transformers Today At Entertainment Earth! Take advantage of the daily deal at Entertainment Earth and save 50% on Kre-O Transformers sets! 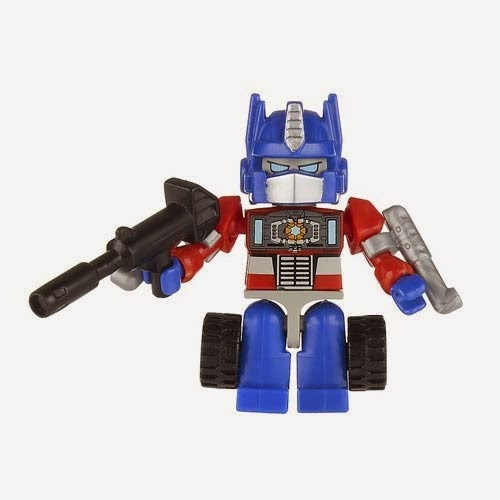 Choose from Micro Changers Mini-Figures packs and cases including the special G1 Optimus Prime with matrix! Also check out the playsets and vehicle/robot sets from Beast Hunters, Age of Extinction, and Changer Combiners lines. Sale ends tonight at midnight so be sure to take advantage of this great deal at Entertainment Earth!